My name is Jason and I am 46 years old and live in Shirley,Croydon. I took voluntary redundancy after 28 years service which has enabled me to follow my passion in caring for animals and to start my own business. I am a trustworthy and reliable person and have a flexible approach to your requirements. I have owned dogs all my life having breeds such as Poodles and Cocker Spaniels. I currently have 2 Border Collies which we re-homed five years ago when they were pups. I attended puppy training classes with them both. I am fully insured and the services I can offer are dog walking and home visits for dogs,cats and other small pets. I will feed your pets and clean litter trays / cages. Whilst in your home I can take in your mail and water plants etc to give your home that lived in look when you are out. Dogs will have a full hour walk either in a group up to maximum of 4 or on there own if requested by the owner. I have 25+years of experience as an owner, and that I am very passionate about dogs and their care. 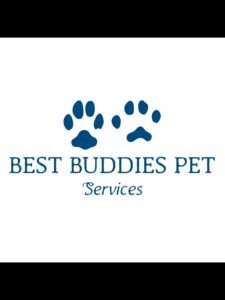 You will have complete peace of mind that your dog is looked after and walked by a very responsible, reliable and professional person. This entry was posted in Kent and tagged Beckenham, Bromley, Eden Park, hayes, keston, West Wickham. Bookmark the permalink.